Madison was the fourth President of the United States. Although his statement was made more than 200 years ago, it represented an apt illustration of the situation that now confronts Nigerians at home. 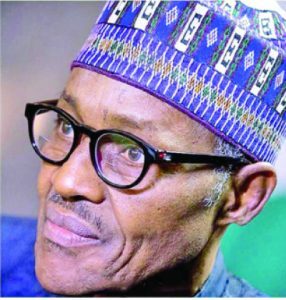 On the pretext of fighting corruption, President Muhammadu Buhari shocked the nation late last week when he removed, through presidential fiat, the Chief Justice of Nigeria without regard for the law, the Constitution, and the oversight powers of the Senate. In countries that practice presidential or parliamentary democracy, there are usually three arms of government. These are the executive, the legislative, and the judicial arms. Traditionally, the head of each arm of government cannot unilaterally remove the head of another arm. That would be dictatorship and not democracy. There are laws and approved procedures to check abuses by each arm of government. This principle of separation of powers is designed to strengthen, rather than undermine, democracy. In Nigeria, the principle of separation of powers has just been disregarded and abused by Buhari in his eagerness to remove the Chief Justice of Nigeria before the general election. Political campaigns for the elections have been disrupted by the sudden, imperious, unprecedented, and ill-advised removal of the Chief Justice of Nigeria by Buhari. That action, taken without due process and without regard for constitutional provisions on how a Chief Justice of Nigeria should be removed, has now steered the country very close to the edge of national disaster. How prophetic. Jonathan saw the lurking danger in the gullibility of citizens who accepted uncritically the change mantra promised by the All Progressives Congress (APC) and Buhari during the election campaigns. Today, Jonathan is the wiser. We can only regret how badly we were conned and misled during the 2015 presidential election. Following Buhari’s overbearing and troubling action, many people have expressed outrage and asked introspectively: Who did this to us? How did we arrive at a point in history when a former military dictator was elected President without anyone reflecting on the likelihood that the man’s despotic character might return one day to haunt citizens? My response is that nobody did anything to us. We elected Buhari on the assumption that he had renounced dictatorship and become a converted supporter of democracy. When we shunned the voices of reason during the 2015 presidential election and accepted the hype that Buhari and the APC symbolised positive change for the country, we took a huge gamble. There are always two possible outcomes in every gamble. It is either you win or you lose. Buhari won and the country lost. Those who voted for Buhari in 2015 are now chewing their fingernails as an expression of regret. Buhari, the man who can hear no evil and see no evil by members of his government, is laughing at all of us. Buhari is an angry man. It is easy to understand why. He tried three times in the 2003, 2007, and 2011 elections to conquer the presidential prize through the ballot box but he failed ignominiously on those three occasions. A man rejected three times should have retired quietly and accepted the people’s verdict. But he wouldn’t because he was driven by vengeance. Someone said revenge is a dish best served cold. That must be true. Winning the presidential election in 2015 gave Buhari the perfect platform to offload his anger on certain regions and ethnic groups. Buhari has shown that once a military dictator, it was always going to be difficult for him to wean himself of his autocratic background and blemishes. This should serve as a lesson to voters who will be approached in future elections by former military dictators. With military despots, what you see is not what you get. Buhari’s brand of politics can be classified as insensitive, unhealthy, hateful, contemptible, and ethnic-based. His actions have so far divided a fragile and fragmented country. His decision to remove the Chief Justice of Nigeria from office and to swear in a replacement within 24 hours has increased fears that the forthcoming elections will be manipulated to return the President to power. Buhari did not have the constitutional power to remove the Chief Justice of Nigeria but he did that anyway. He has reduced significantly the environment for free and fair elections in the coming weeks. Whether the elections will take place as scheduled will depend on how soon peace returns across the country. Buhari likes to portray himself as a statesman. He is not. He is a hardened separatist, a man with a one-track mind who is obsessed with advancing his narrow-minded politics of ethnicity, regionalism, and religion. That is not the hallmark of a statesman. A statesman should live above constricted and narrow points of view. A true statesman should work to unify a fractured country such as Nigeria that comprises multi-ethnic and multi-religious groups. If Buhari fails to extinguish the political fire that he has already turned on, everyone will experience how intolerance and greed for power by the ruling party can put a country in trouble. Things are not looking good for the future of democracy in Nigeria. This is not just an apocalyptic prediction. Nigeria is primed to be consumed by undercurrents of political tension and mutual suspicion. Right now, the focus is on the battle to save the judiciary from the hands of an authoritarian. No one knows what would follow the battle for the soul of the judiciary. Time will tell. Before he resurrected in 2015 for a fourth attempt at the presidency, many Nigerians had expressed serious doubts about Buhari’s capacity to lead because of his impulsive nature. His views on national issues are as bigoted and provocative as they are insulting. Consider this. It is this same dismissive language that Buhari has used to pour cold water on senior members of his government who were accused of corruption and later relieved of their jobs. So far, no formal charges have been brought against these men because, in his blinkered eyes, Buhari cannot see and certainly does not believe his kinsmen could be guilty of corruption as charged. Nigeria’s democracy is in a crucible.